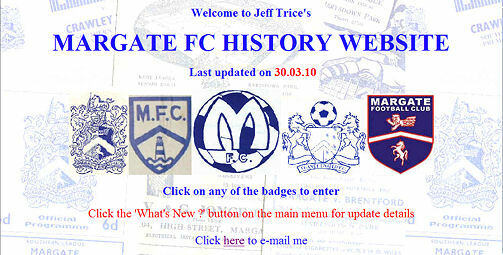 Long-standing Margate supporter Jeff Trice originally came up with the idea of starting a website devoted to the history of the club in 2001 and in October of that year www.margatefchistory.co.uk was launched. The original site continued until January 2011 when Jeff closed the site down. 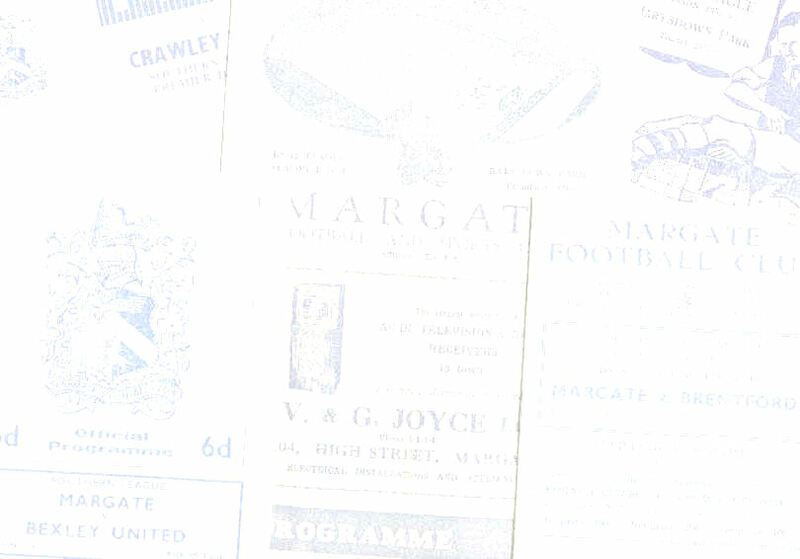 In May 2011 he relaunched the website as www.margatefchistory.com with a brand-new look and that version of the site continued until May 2015 when Jeff shut the site down once again and retired from historical duties. 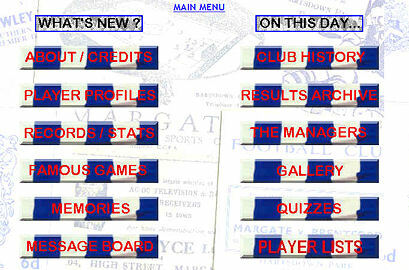 In November 2016 the website was relaunched again by new owner Gordon Wallis, aided by Steve Tomlinson, and became www.margatefootballclubhistory.com.